Home Can You Freeze? 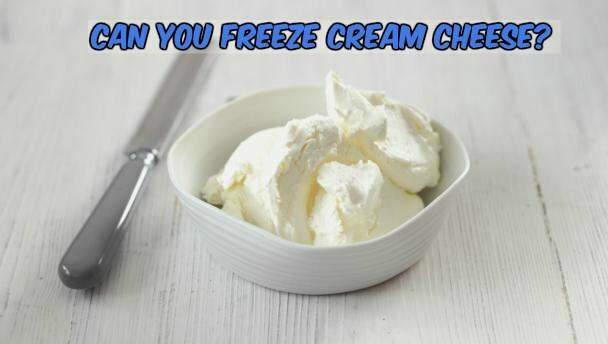 Can You Freeze Cream Cheese? How To Freeze And Defrost Cream Cheese? Cream cheese just happens to be America’s favourite spread, and it’s easy to see why. Cream cheese offers a soft smooth texture, wonderful mild flavour and can be used to enhance many recipes. A lot of people wonder if cream cheese is versatile enough to keep for a later date, because sometimes, you just want to reach for it, when you need it. How long does cream cheese last? That question is asked all the time, and food experts have the answer. When refrigerated, an unopened package of cream cheese is good for one month. People worry about dairy products and their expiration dates. For instance, how long will cream cheese last in the refrigerator? Once opened, cream cheese stored in the fridge should be used within 10 days, say most chefs. Some of us like to buy several cream cheese blocks on sale. So, how long can you freeze cream cheese for? This amazing cheese can be frozen for four to six months. 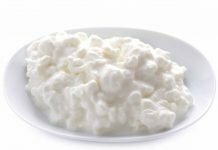 Cream cheese offers a lovely taste and texture to many foods, is inexpensive and never features too strong a flavour or presence. It’s the kind of perfect blendable cheese spread folks have been enjoying since its invention in 1872. Yes you can freeze cream cheese, as long as you follow some simple steps. How to freeze cream cheese doesn’t have to be a question of rocket science, because it doesn’t involve anything tricky to master. In addition, here’s a fact to remember; A low-fat cream cheese will not freeze as well as one with a higher fat content. Thawed cream cheese is best for recipes like dips and baked desserts, etc. Some people find it gritty when thawed, but popping the cream cheese into a microwave will achieve the cheese’s original creamy consistency. First, you can freeze it directly in its original package. Some like to wrap the cream cheese in plastic wrap and place it in an airtight freezer bag before freezing. Cream cheese’s soft texture makes it genius for adding elegance and richness to dips, frosting and desserts, etc. How Do You Defrost Cream Cheese? Thawing out your cream cheese is easy, if you remember to do the slow defrost. Cream cheese and other cheeses retain their texture better when thawing out is not a forced affair. The cheese professionals advise leaving the wrapped cream cheese in its current frozen state and placing it in the refrigerator to thaw overnight. The original way your wrapped it will help the cream cheese retain its moisture. A 24-hour defrost should do the trick, and it will be ready by then. Many wonder whether products containing cream cheese follow the same principles. Yes, you can freeze delicious cream cheese frosting, if you also do a little math ahead of time. The best way to approach this is having a freezer bag ready or a freezer-safe container covered in plastic. 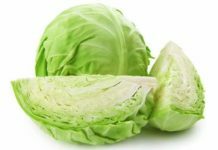 You want to avoid freezer burn. Make sure you have enough frosting for your next project when you go to thaw it. Measure the frosting to ensure it can adequately frost your dessert before freezing it. Then, scoop the cream cheese frosting into a freezer bag, and press it flat before sealing. Can You Freeze Whipped Cream Cheese? Yes you can freeze whipped cream cheese, as whipped cream texture freezes well and also thaws beautifully, holding its perky shape in the process. There are two ways to accomplish the freezing action. You can keep whipped cream cheese in its tub and cover with plastic to seal the deal and place in the freezer. You could also make portion sizes of the the whipped cream cheese and drop these mounds on parchment paper on a baking sheet. Then, freeze these little mounds until the whipped cream cheese is frozen solid. Peel the whipped cream cheese off the parchment. Transfer the frozen whipped cream cheese mounds to a freezer bag. When it comes to popular dips containing yummy cream cheese, that brings up another key question. Can You Freeze Cream Cheese Dips? Yes you can freeze cream cheese dips. 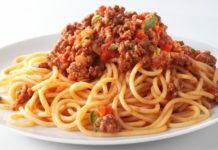 Most chefs claim it can be done and that the consistency is still tasty. The easiest method involves scooping your cream cheese dip into a simple Tupperware container, for example. Then, fill it up and leave about a half inch of room from the lid. Top the container with plastic wrap before sealing with the lid. Can You Freeze Cream Cheese Icing, As Well? Yes you can freeze cream cheese icing, just follow our easy rules for freezing cream cheese frosting. That means, storing it in a freezer bag and pressing it flat before freezing. So, can you freeze cream cheese in all its variety? Of course, thanks to its wonderful versatility. Next articleCan You Freeze Feta Cheese?